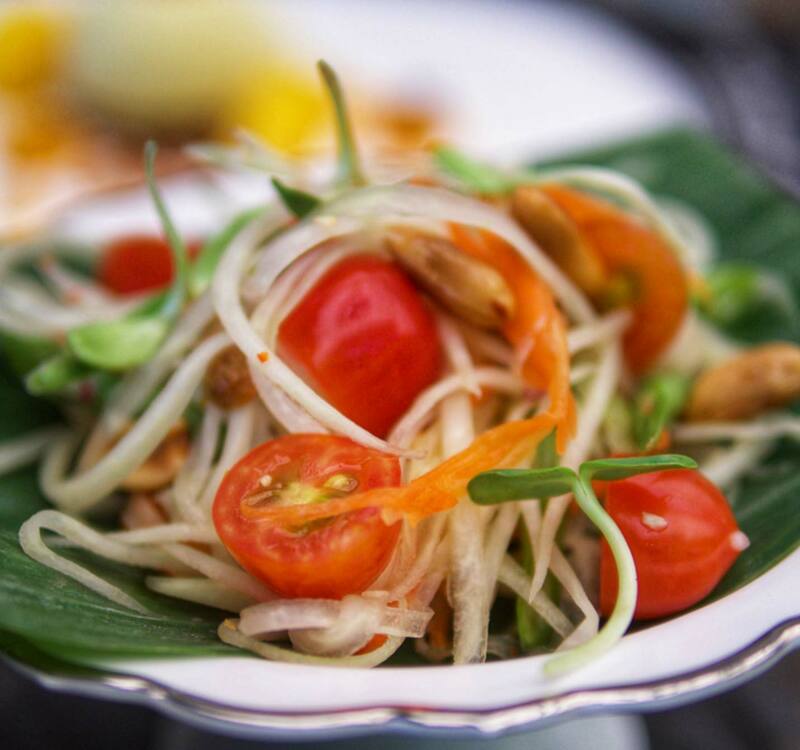 This incredible salad is the last of the amazing dishes that I discovered during my stay at the Amatara Wellness Resort in Thailand! It takes just a few moments to throw together and is an iconic dish from this beautiful country. The salad itself contains an abundance of ingredients that pack a healthy punch, and the pumpkin seed garnish gives it an extra nutritious boost! Also, if spicy isn't really your thing then you can always make this salad without the addition of the chilli! Pumpkin seeds are rich in healthy fats, as well as being an excellent source of magnesium and zinc. Studies have suggested that regularly consuming pumpkin seeds could help to keep your blood pressure down and to promote an optimum sleep cycle. Papaya is another exciting ingredient from this exotic dish, and may not be one that you consume often! Papaya is a rich and colourful source of nutrients, in fact – it has one of the highest vitamin C counts of all of the fruits! It is also an excellent source of potassium, beta-carotene, and lycopene! As well as being a delicious addition to salads, you can also simply enjoy this fruit on its own, or as a juice! Ready to make this salad for two people? Place all of the salad ingredients in a large bowl and lightly mix with a wooden spoon. Next, to make the dressing, mix lime juice, coconut nectar, sea salt, garlic and tamari soy sauce together. You can then pour the dressing over the salad and mix lightly. Serve your salad onto plates and garnish with a few pumpkin seeds. So simple! This is a very nice and colored salad, good!! !